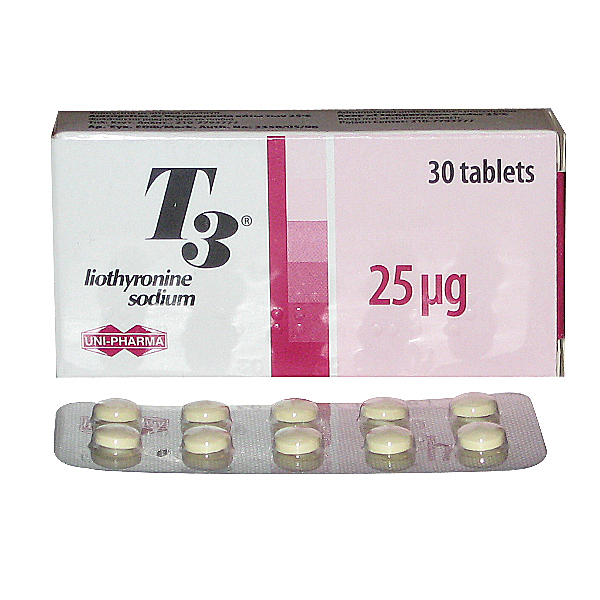 Liothyronine (T3) is a synthetic thyroid hormone. It stimulates growth and development, raises the need for tissues in oxygen, stimulates the metabolism of proteins, fats and carbohydrates, increases the functional activity of CCC and CNS. 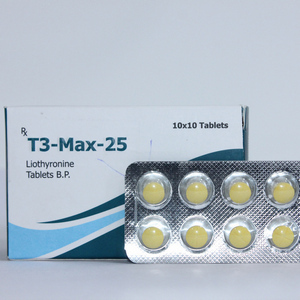 In large doses inhibits the production of thyrotropin-releasing hormone hypothalamus and thyrotropin pituitary. Maximum effect after 2-3 days. Before the beginning of treatment with tablets of Thyromel (sodium lyoteronin) it is necessary to consult with the attending physician. The preparation contains 25 μg of active substance. In most cases, patients treated with hypothyroidism receive 25 μg once a day. A marked change in symptoms is usually observed 2 weeks after the start of treatment. Dosage may be increased depending on the patient's response to ongoing treatment. Other diseases may require other dosage regimens, so before starting treatment it is necessary to undergo a medical examination from the attending physician. From the cardiovascular system: progression of heart failure and angina pectoris. From the nervous system: the pseudotumor of the brain. Dermatological: partial or complete hair loss in children is possible during the first few months of therapy; usually normal hair growth is restored later, despite the continuation of therapy. Carcinogenicity / mutagenicity: no studies were performed; reports of induction of breast cancer are not confirmed; the elimination of thyroid hormones in this state is not required. Other: hyperthyroidism or overdose, hypothyroidism or insufficient dosage. In newborns, an overdose can lead to craniostenosis. Thyroid hormones are not indicated for the correction of vagal symptoms (dry skin, fatigue, constipation, reproductive disorders, growth retardation or obesity) without laboratory confirmation of hypothyroidism, since they can lead to hyperthyroidism in euthyroid patients. 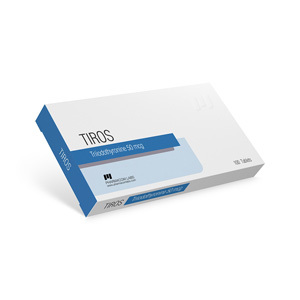 Individual dosage correction is required for each patient according to the clinical response and thyroid function tests. 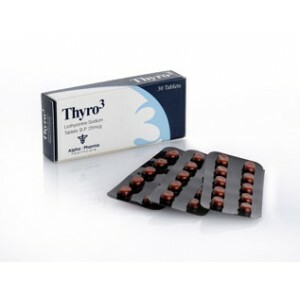 Treatment with thyroid hormones usually begin with small doses, gradually increasing them to achieve an euthyroid state, with the subsequent administration of maintenance doses. However, this is not required in newborns, for whom the rapid achievement of euthyroidism is important; treatment in them can be started with a full replacement dose. Reduction in the incidence of side effects (eg, hyperactivity) in older children is achieved by starting therapy with a dose corresponding to ¼ of the normal replacement dose, and gradually increasing it by 25% at intervals of 1 week until a complete replacement dose is achieved. The risk of a rapid dose increase at a younger age is lower than in elderly patients. In hypothyroid patients with insufficiency of the adrenal cortex or panhypopituitarism, the appointment of replacement therapy with thyroid hormones should be preceded by a correction of adrenocortical insufficiency due to the possibility of developing acute adrenal cortex deficiency in accelerating metabolism. Supportive therapy with glucocorticoids may also be necessary for prolonged or severe hypothyroidism, including myxedema. In hypothyroid patients with myxedema or in patients suffering from cardiovascular disease, the initial dose of thyroid hormones should be very small and increase gradually because of the possibility of induction of angina pectoris, coronary artery occlusion or stroke. With the development of cardiovascular reactions, a dose reduction of thyroid hormones may be required.